I’M ALWAYS going on about what a wonderful sport sailing is – regardless of whether you’re aiming to be an Olympic champion or are happy just to potter about on the river enjoying the challenge of making a boat move through the water using only the wind. So I’ve been right behind the Royal Yachting Association’s ‘Push the Boat Out’ initiative, which has been designed to tempt more people to have a go at sailing. But that project takes on even more significance when you realised that disabled people or those with limited mobility can have just as much fun – and be just as competitive – as their able-bodied companions. I was delighted to see that Queen Mary Sailing Club in Ashford took part in ‘Push the Boat Out’ and did it in style by launching a new Access 303 sailing dinghy, which is specially designed to allow disabled people to get out on the water. Paralympic medallist and recent Skud European Champion Alexandra Rickham attended the event on Saturday. Alexandra jointly launched the new dinghy – named Simon after Sailability founder member Simon Cox who sadly died earlier this year. Simon’s mother shared launch duties. Sailability supporter and RYA Regional Chairman Alan Woolford says: “We are delighted to be taking part in the RYA Push the Boat Out. “We are inviting the local community to come down to the club, have a go at sailing, see what the club has to offer and get involved. Whether you’re completely new to the sport, looking to get back on the water or sail regularly, Queen Mary Sailability is one of the many sailing clubs and centres across the country taking part in RYA Push the Boat Out. The beauty of sailing is that it is one of the most accessible sports and anybody can learn regardless of age, gender or ability. Queen Mary SC has always been at the forefront of encouraging more youngsters to get involved with sailing in a safe environment – and in Alan Woolford, Sailability has an extraordinarily energetic and enthusiastic supporter well done both to the club and to Sailability. For full details about what’s going on at Queen Mary Sailability visit the website at www.queenmary.org.uk/sailability.aspx. ADLARD Coles has just published another great book about the Thames but with a slightly different theme. The River Thames is an often undiscovered haven of stunning scenery and wonderful wildlife. As well as the famous stretches passing through our biggest cities and towns, there is a hidden side to the river – wild and natural, but surprisingly accessible. 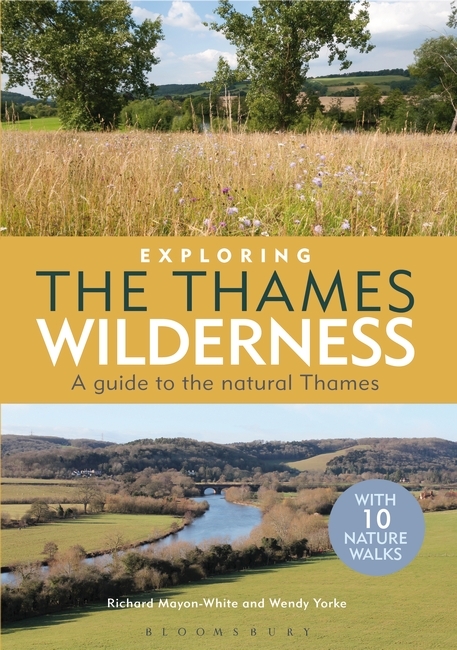 Called Exploring the Thames Wilderness, the guidebook contains a wealth of information on over 150 of the best places to explore the real Thames wilderness, along with enjoyable walks and activities along its course. Organised geographically, the book gives information on the history and character of each stretch of the river and the featured sites within it. Illustrated with maps and photos, the text highlights which plants and wildlife to watch out for, activities you can do, how to get there and nearby moorings, cycle paths and car parks. Exploring the Thames Wilderness by Richard Mayon-White and Wendy Yorke is available from most bookshops and costs £14.99. The boat show – can you smell the possibilities?